It is essential to build what makes sense for a specific program and a particular setting, rather than sacrificing context for the sake of an architectural statement. Our designs allow the specific qualities of materials and the processes and principles of construction to inform and enhance the design. Several interpenetrating elements form the roof, but they are all made of segments of spheres and toroids, whose geometry enabled the roof’s structure to be orderly and repetitive, and the glass panels allow for the consistent curvature of the roof surface. The tectonics and construction methods form part of the expressive language of the building, demonstrating a responsible and inventive attitude toward conservation of resources and a natural economy of means. 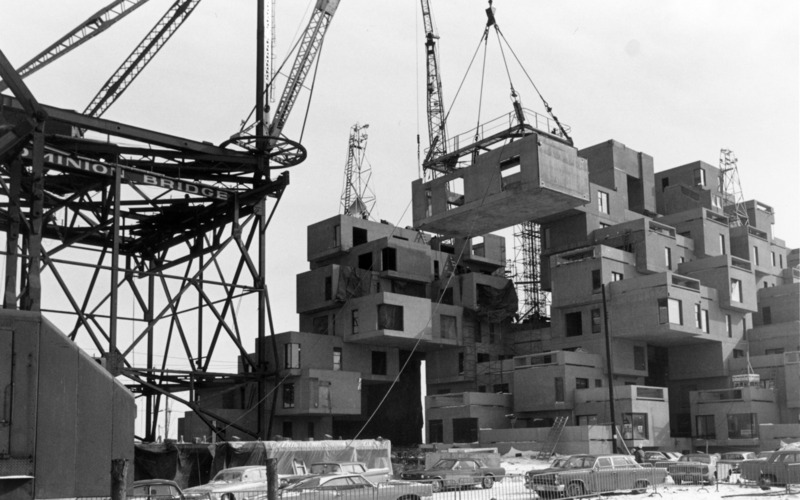 Habitat '67 is composed of 365 prefabricated concrete boxes, lifted into place by cranes and connected to each other by rods, cables and welding to form 158 residences. 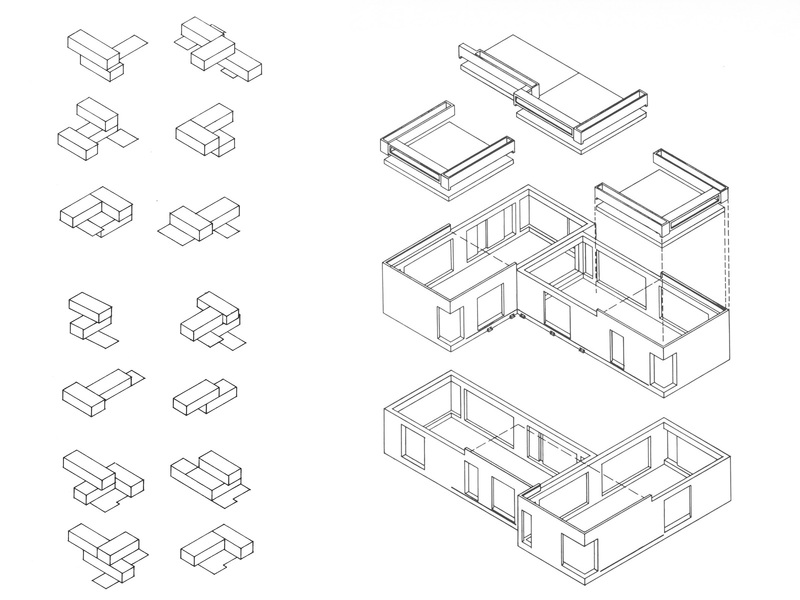 The prefinished concrete module becomes the basic building block, combined to form larger clusters, and even larger assemblies, within the whole. All parts of the building, including the units, skywalks, and elevator cores, work together as load-bearing members. 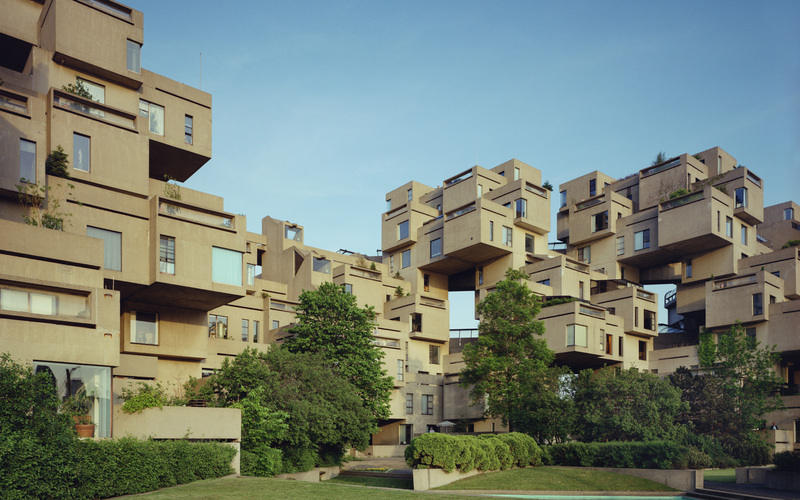 It remains a pioneering example of prefabricated housing with the amenities of single-family homes and the densities and lower budgets of urban apartment housing. 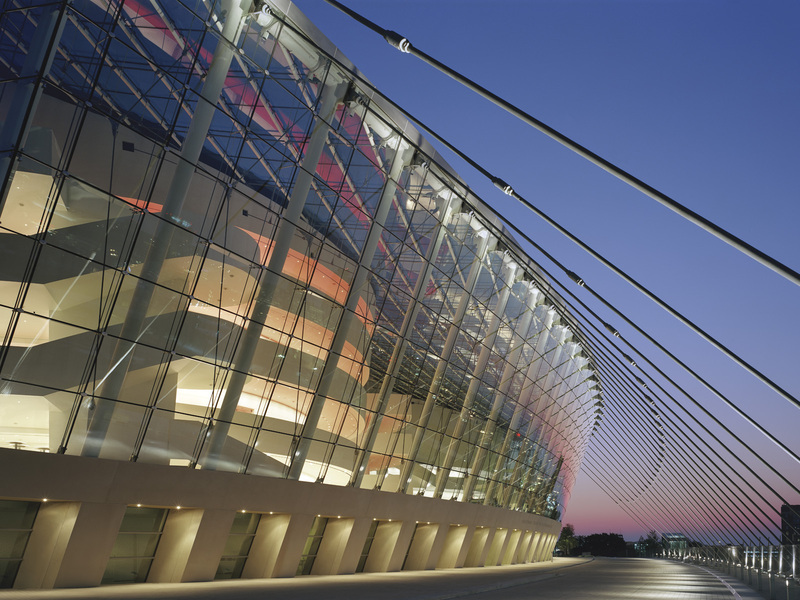 For the Kauffman Center for the Performing Arts in Kansas City, Missouri, we wanted to create a complex that has no front or back and, instead, provides a rich and inviting face in all directions. We evolved a structural enclosure that surrounds the center’s performance halls. The public arriving from downtown gently descends through a passageway between the two halls, landing in the foyer overlooking the city to the south. 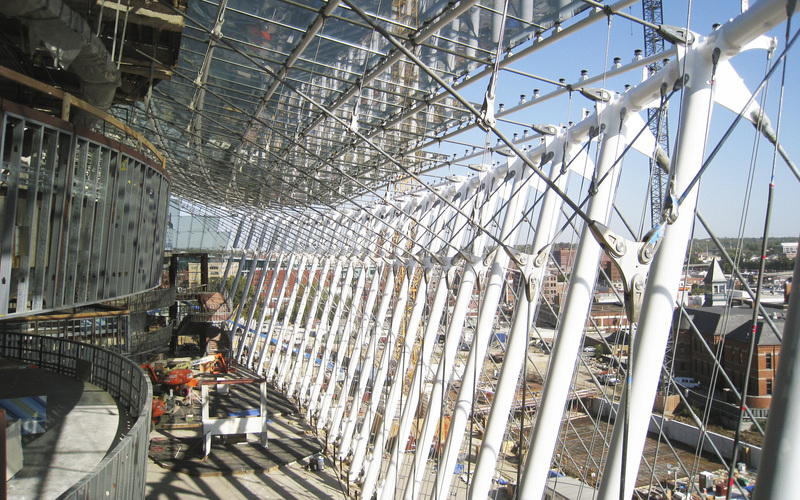 The center’s grand atrium on the center’s south side is formed by a series of steel trusses that ascend toward the sky. 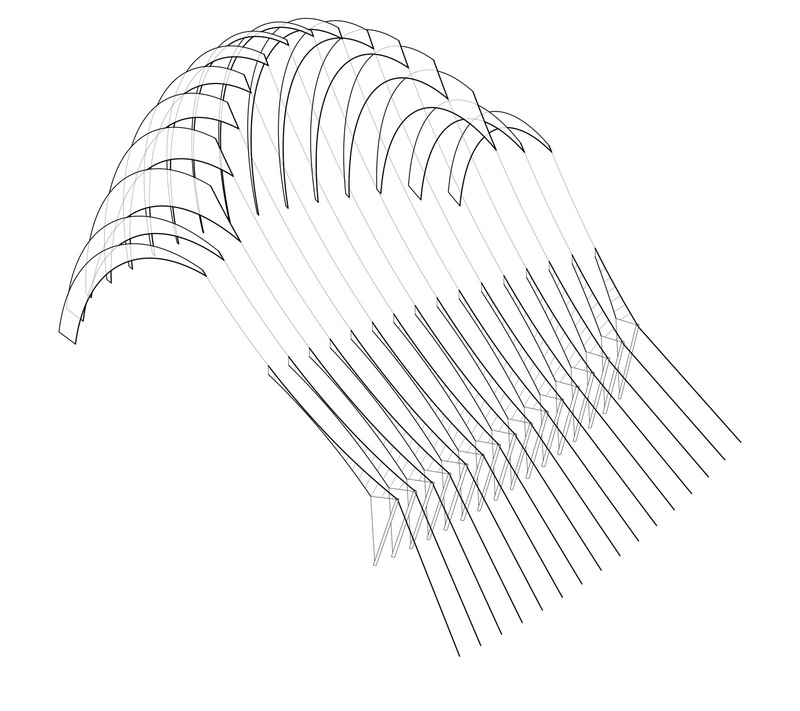 These arc-like elements form a fan shape that echoes the shape of the spaces that they enclose. 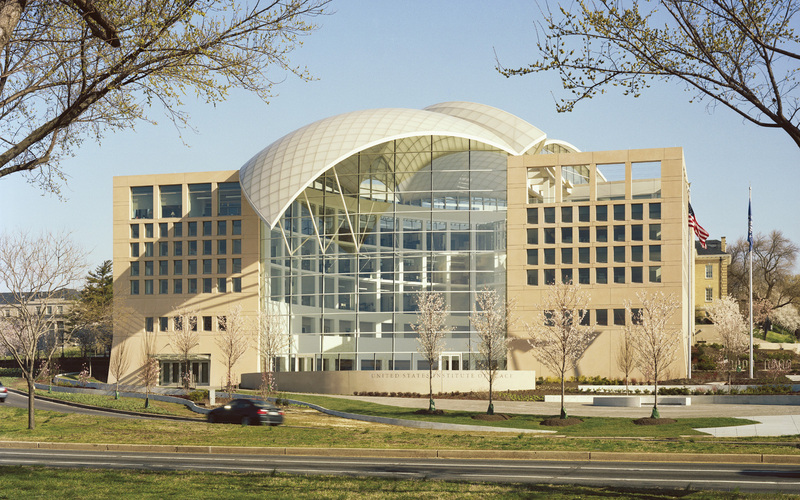 The deployment of finish materials reinforce this – the vertical faces clad in limestone-colored precast concrete and the curved surfaces clad in stainless steel.